As you may recall, I’m a bit of a barbecue fan. And not just a passive fan, either. 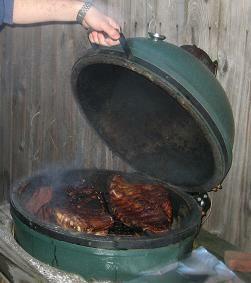 My experiment with pulled pork wasn’t my first time using the Big Green Egg. For my first endeavor into the world of slow-smoked cooking, I worked with David (the friend who introduced me to KCBS judging) to cook up a few slabs of ribs for the Super Bowl. Unlike pulled pork, which requires cooking time upwards of 15 hours to ensure tender and tasty results, slabs of pork ribs can be smoked to perfection in as few as four hours. So we committed the better part of the afternoon to the effort, and we settled in with a few beers to tend the Egg. A description of the process after the jump. 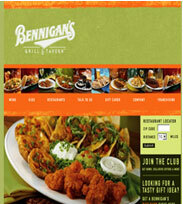 The restaurant chain Bennigans has declared bankruptcy and will close its doors. RIP fried club sandwich Monte Cristo. Oh Bennigans. Your sampler platter was the deadliest of all. On the other side of the food spectrum, Seattle company Organic to Go opened the doors to its first DC lunch spot this week. Their first open location is in the former High Noon at 1311 F St NW (metro center area). Swing by and take a look, you’ll barely recognize the place. Future establishments are opening soon in McPherson Square, DuPont and Rosslyn. Thanks to Going Green DC for the heads up. Responding to obesity rates, Type II Diabetes, hypertension and a host of other diet-related issues, DC’s local food pantries are giving their foods a health-focused makeover. Apples and Bananas reports that Tallulah has a new chef in town. Chef Andrew Markert will take the reins as Executive Chef “before the end of the month.” Which is pretty much right now. We’ve only been to Tallulah for dinner once and really enjoyed it. Let’s up these changes keep the Arlington neighborhood favorite on the up and up. Dining options in Rosslyn are experiencing a slow but steady improvement, thanks in part to Domaso Trattoria. A few years ago my employer was excited to announce we were moving offices from our homey (read: small, dingy) headquarters in DuPont Circle to spacious, freshly designed digs in Rosslyn. This is like convincing a Parisienne that switching from a 5th arrondissement studio to a McMansion in Fresno is a good thing. You could practically see the tumbleweeds bouncing around the streets back then. The only places for lunch in our area was Quizno’s and the Orleans House. Flash forward to 2008. After doing hard time in foodie Siberia (others call it Tyson’s Corner), I’m back in Rosslyn and pleased to say it’s progressing nicely. The fabled Tom Sarris Orleans House is closed and demolished while new options spring up regularly. 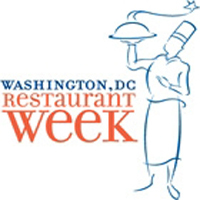 Click on the image to go to our Google Map that locates every restaurant participating in next month's DC Restaurant Week. To our knowledge, this is the only place to find all of this year’s participating restaurants on one convenient map. Check each placemark for addresses, phone numbers, and OpenTable links (when available). Blue marks are lunch and dinner, red marks are dinner only, and green marks are lunch only. And if you’re having a hard time accessing it through the image, you can simply click here to go right to the map. We hope you’ll find this map useful as you plan out your dining destinations – please let us know if you notice any errors or if anything needs to be updated! DC Restaurant Week Participants Are Up: Start Your Search Engines! If you took our advice last week and pre-booked some reservations for the week of August 11-17, you may want to check and see how your predictions did as soon as you’re able: the list of participating restaurants is now up! We went 1-for-3 on our reservations: though we were able to lock in a dinner at Cafe Atlantico, we had speculated on whether or not CityZen and 1789 would participate (they have on several occasions in the past). At this point, though, it seems like news is just starting to get out that the list is up. There are still plenty of choice reservations available for participating restaurants on Saturday, August 16th – likely to be the most sought-after reservations of the week. So whether you made advance reservations and now need to adjust them or you opted to wait until the list was posted, it’s go time. Head to OpenTable and start making your reservations now! I’ll be updating this post later today with some recommendations based on our past experiences, but please feel free to chime in with any of your own. There are some places that do Restaurant Week REALLY well and others that just don’t seem to get it. There are plenty of transplants from New York, New Jersey and Philadelphia in Washington, and most of us are only too happy to tell you exactly what’s wrong with local versions of the foods we grew up with: pizza, cheesesteaks and especially sub sandwiches. People who live in Northern Virginia will tell you that the Italian Store offers a reasonable facsimile of those sandwiches and pizzas, and those who are really in the know will urge you to check out Mangialardo and Sons on Capitol Hill for sandwiches – assuming you can make it down there while they’re open. 7:30 AM to 3 PM weekdays is not exactly convenient for those who don’t live or work near their location on Pennsylvania Avenue, Southeast. 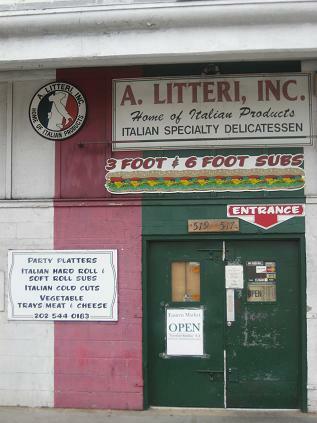 But the best bet for sandwiches (and a wide range of Italian products) is A. Litteri, Inc. Hidden among the warehouses and wholesalers in the Capital City Market (bordered by New York Avenue, Florida Avenue, 5th and 7th Streets, Northeast), these guys have been offering pastas, spices, wine and olive oil to Washington’s Italian-American community and those who appreciate Italian delicacies since Calvin Coolidge occupied the White House. So to celebrate my officially becoming an old Italian man with our friends, we knew we had to have Litteri’s Italian sandwiches. Elizabeth was also wonderful enough to make a delicious homemade tiramisu for dessert, but you’ll have to wait to get the details on that sweet treat in a future post. Suddenly DC is awash with celebrity chefs. The weekend of the 4th Thomas Keller dined at Restaurant Eve. Top Cheftestants Stephanie, Atononia and Lisa walked the red carpet at Spike’s Good Stuff party (the former two were spotted dining at Central that night, for those keeping track). The latest bold name to grace our fair streets? Mr. 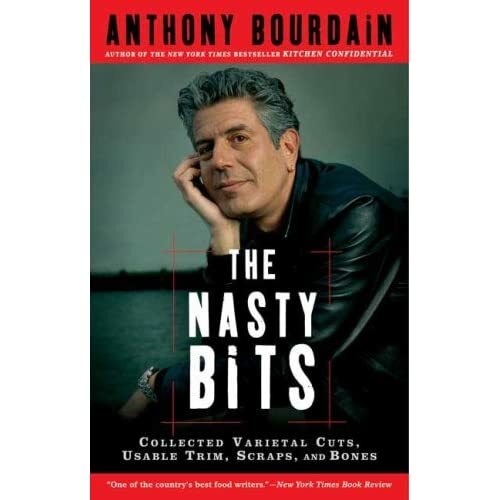 Nasty Bits himself, Anthony Bourdain. Maybe he’s in town to personally thank Endless Simmer for the E-ward shout out? According to DCist and Apples and Bananas, Bourdain was spotted cruising the Penn Quarter Farmers Market with local heavy Jose Andres, No Reservations crew in tow. The pair spent some time talking to vendors and then slipped out of the heat into Cafe Atlantico. Maybe one of Katsuya Fukushima’s famous Minibar cotton candy foie gras is in his future? Ben’s Chili Bowl: The granddaddy of the “down with the real folks” tour in DC. Much like Jumbo Slice, I’ve only consumed Ben’s after a night of boozing. Still 50 years of booming business means they’re doing something right. We recommend the half-smoke. Jimmy T’s: A hole-in-the-wall breakfast diner tucked away on Capitol Hill. this is where DC staffers can pop in for a no-frills breakfast with old school prices.